Predicting The Pacific: Who Makes The Playoffs? There is less than a month separating the hockey world from the 2015-16 NHL regular season. Only a few weeks of developmental camps and preseason hockey sit between hockey fans and another season of fast paced, hard-hitting NHL action. Although playoff races aren’t interesting until the last few weeks of the season, the NHL season is a marathon and every game matters. Even if they don’t have a game on the NHL’s opening night, once the puck drops on Oct. 7, all 30 teams across the NHL are trying to make the playoffs. The Pacific Division is no different. Like every team across the league, all seven teams that call the Pacific home will start fresh. All of last season’s upsets and shortcomings will be in the rear view mirror. Some teams will have more in that mirror than others. 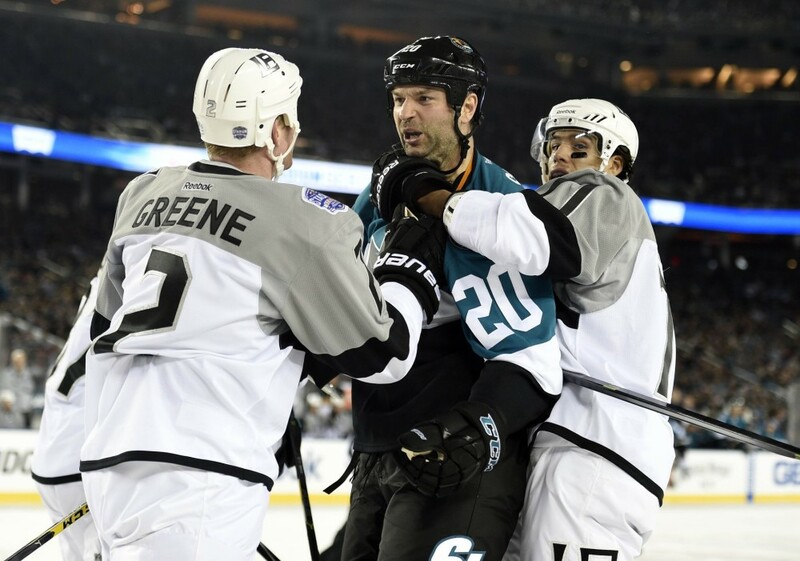 The Los Angeles Kings and San Jose Sharks, two teams most considered to be locks to make the playoffs in the West, both failed to make the postseason last season. The Kings became the first defending Stanley Cup champion to miss the playoffs the next season since the Carolina Hurricanes did in 2007. The Sharks failed to make the postseason for the first time since 2003. However, with teams struggling comes teams succeeding. Enter the Calgary Flames. The Flames, with the help of an impressive 97-point regular season, were able to shake the playoff bug and qualify for the postseason for the first time since 2009. The Anaheim Ducks and Vancouver Canucks both continued their regular appearances in the playoffs. The Canucks have qualified for the playoffs seven of the last 10 seasons, and have not missed the playoffs in back-to-back years since the 1999 and 2000 playoffs. The Ducks have had much of the same recent success, having qualified for the playoffs in eight of the last 10 seasons, winning the Cup in 2007, and haven’t missed the playoffs in back-to-back seasons since 2001 and 2002. All while the more successful teams in the Pacific have been jockeying for position over the last decade or so, the Arizona Coyotes and Edmonton Oilers have had little to no success. Arizona has qualified for the postseason only three times in 10 years, and hasn’t done so since they made the Western Conference Final in 2012. The Oilers’ luck hasn’t been much better, having missed out on the playoffs nine of the last 10 seasons. Edmonton’s last playoff appearance ended in Game 7 of the 2006 Stanley Cup Final. Needless to say, every team in the Pacific finds themselves in similar boats. Some boats have stayed the course for some time now, continually finding their way into the playoffs. Other boats may have strayed away from the course a bit, while other boats continue to struggle to keep up with the pack. Let’s take a look and guess at what teams will find their way into the postseason come April 2016. For Anaheim and Calgary, it will be an idea of don’t fix what isn’t broken.The two advanced to the second round of last season’s playoffs before the Ducks eliminated the Flames in five games. 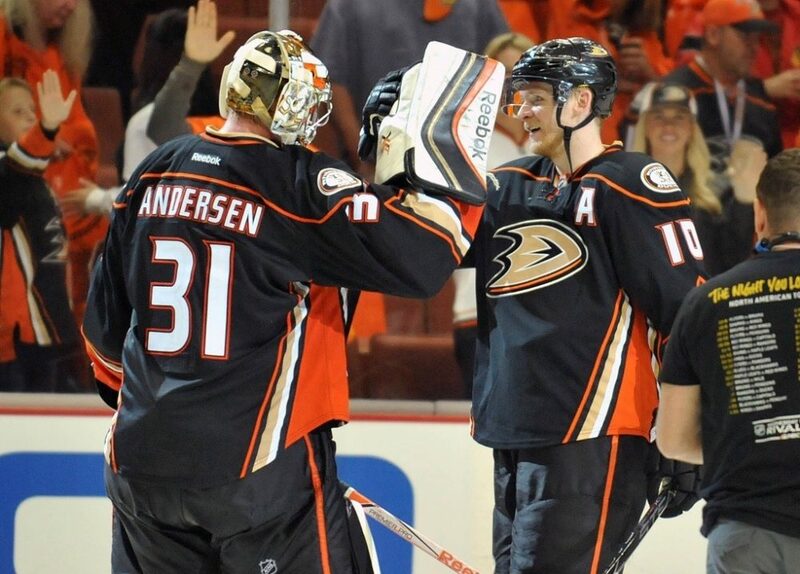 Anaheim has big-name talent up and down the team’s rosters. From Ryan Getzlaf to Jakob Silfverberg, the Ducks are rich with world-class talent. Despite having a bit of a goaltending carousel in the crease, the Ducks have established themselves as one of the NHL’s elite clubs and the cream of the crop when it comes to the Pacific Division. Don’t agree? Take a look at their 105 wins over the last two seasons. Calgary had one of the NHL’s best summers. The Flames were able to add Dougie Hamilton and Michael Frolik to a roster that includes Johnny Gaudreau, Jiri Hudler, Mark Giordano and Sean Monahan. The Flames were able to bring in those two roster players without losing a player for the additions. The Flames took a huge step forward last season, and only improved this offseason, which should keep them trending up. Watch for the Ducks and Flames to set the pace in the Pacific. The easiest way to make it into the postseason will be grabbing one of the top three spots in the division. This may seem a bit obvious because of the fact that you only have one division battling for three spots rather than two divisions fighting for two spots. But once you look at the other division duking it out for those final two playoff spots, things get a whole lot harder. The Pacific Division is paired with the Central Division in the Western Conference. The Central Division is possibly the toughest division in the NHL. Both wild-card teams came out of the Central Division last season, and for a division that didn’t lose much during the offseason, it wouldn’t be surprising if that was the case again. Los Angeles, San Jose and Vancouver will likely be bunched together fighting for the third and final spot coming out of the Pacific Division and then the remaining two getting tossed into the mix with the Central teams to decide the wild-card spots. Vancouver was among the three to make it out of the division last season with an impressive 101 points. But each season is another season where Vancouver’s stars get a little older. Ryan Miller, who already has a history of injury problems, is already 35. Henrik and Daniel Sedin and Alex Burrows are 34. Any sort of indication that age is playing a role in one of these players’ game may doom the Canucks. The rest of the division, and the NHL as a whole, benefited from uncharacteristic seasons by the Kings and Sharks. Two teams consistently in talks of Stanley Cup contention not making the playoffs is sure to allow some teams to breathe easier. However, this may also result in a quick rebound for both clubs. Both Los Angeles and San Jose added some key pieces over the course of the summer. The Kings brought in Christian Ehrhoff to fill in on defense and gritty Milan Lucic who will likely be getting first-line minutes in Los Angeles. The Sharks went a similar route bringing in Paul Martin on the back-end and depth forward Joel Ward. All solid additions that may breathe life back into contenders that stumbled last season. An interesting storyline to follow in the Pacific will be the play of Martin Jones, who will be San Jose’s No. 1 goalie. Can Jones, former Kings backup to Jonathan Quick, be the goalie San Jose needs? If Jones can’t carry the load, the Sharks may be in for a rough season. It is going to be a tight race for that No. 3 spot in the Pacific Division. Any one of these teams can grab it if they play well. The other two, well, they’ll be tossed into a dog fight with the Central Division. If there is a team that could possibly throw a corkscrew in the rest of the division’s plans, it’s the Oilers. All signs seem to be pointing up in Edmonton. How high Edmonton gets this season depends on how quick things begin to click for the Oilers. There will be plenty of new faces among the Oilers once the season starts. 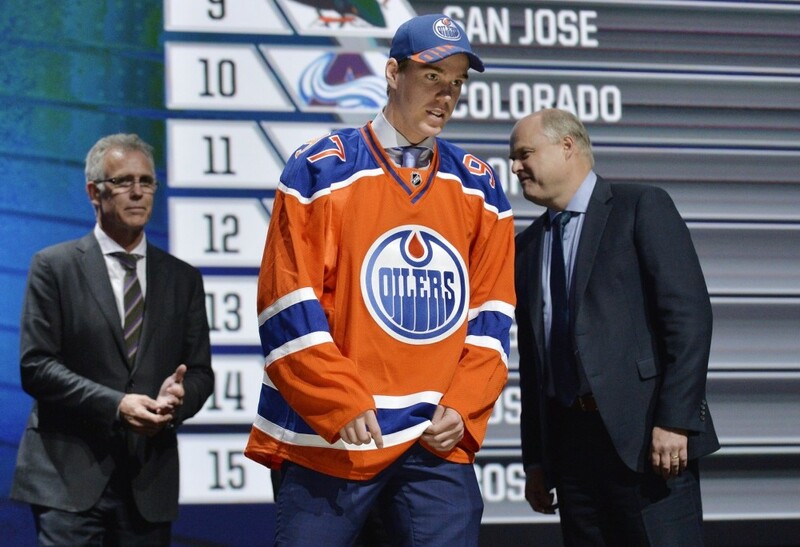 The most important being Connor McDavid. The No. 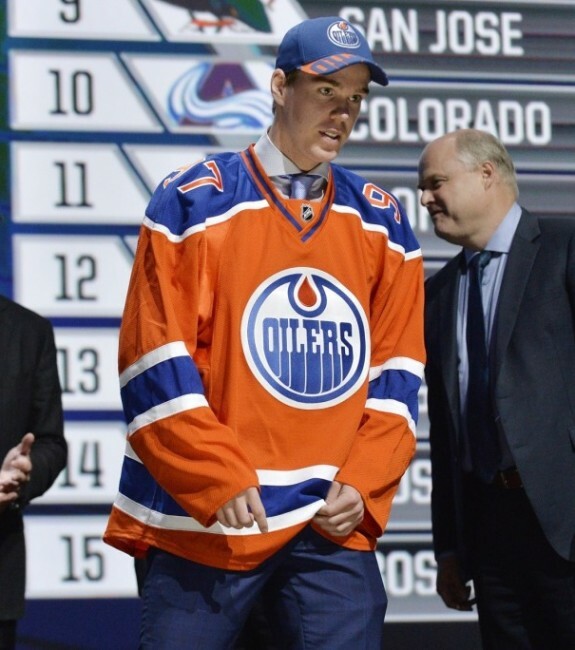 1 pick in this year’s draft has Oilers’ brass and fans as optimistic as ever. Toss in other offseason additions like Griffin Reinhart, Cam Talbot, Andrej Sekera and Mark Letestu, and the Oilers are looking to make some noise next season. In addition to a group of new talent on the ice, the Oilers now have Todd McLellan running the bench. Times are changing in Edmonton. The Oilers should no longer be the doormat of the Western Conference. If the Pacific Division isn’t careful, the Oilers could sneak into a playoff spot, or at least steal some vital points. The Coyotes finished last season in seventh place in the Pacific Division. Their 56 points was the second worst in the league. Looking forward to next season, it is hard to think Arizona will do any better. In fact, it’s hard to think they won’t be worse. Overall, the Pacific Division didn’t get any easier to be a part of. At the same time, the Coyotes didn’t do much to get better. I mean, they did sign John Scott. There are some intriguing players in the NHL’s desert. Shane Doan, Martin Hanzel and Oliver Ekman-Larsson are sure to keep things interesting. Also, the development of Max Domi will be fun to watch. But at the moment, there seems to be a gap between the Coyotes and the rest of the division – a big one.